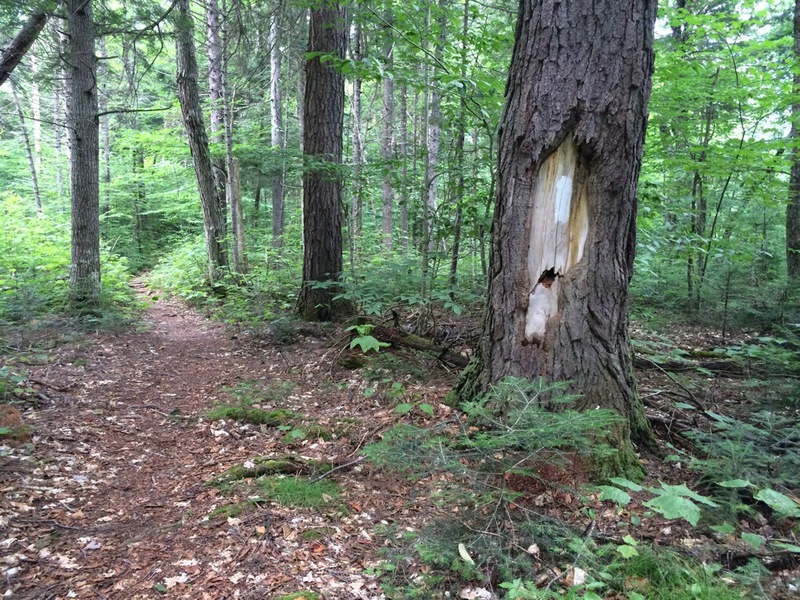 Horns Pond Lean-to, ME, AT NOBO mile 2002.2, Tuesday July 22, 2014 — Gabriel Heatter was a noteable radio newscaster in his day. His signature sign on was “There’s good news tonight.” That’s what I’ve got. More than 2,000 miles have been recorded on the ledger. Only 183 left to go. Of course there are the Bigalows where I am now and a whole lot more that must be endured before the final climb up Maine’s feature mountain. Today’s hiking was beyond strenuous. I was camped half way up south Crocker Mountain. As luck would have it, there are two of the steep little SOBs right in a row. They’re followed by a steep descent where a paved highway leads to the village of Straton which I by-passed. Then comes one of the most beautiful ups yet. 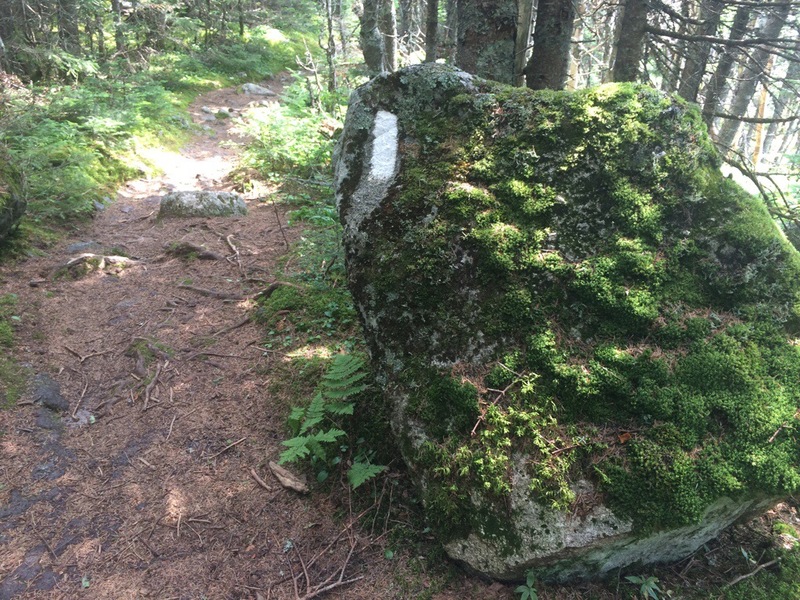 The trail scrambles between talus rock falls and monster boulder fields. It could have been a “Lord of the Rings” movie set. Bilbo my man, me thinks we might be in mordor. I also was about close to exhaustion when I stumbled into the lean-to. It was hot today and the water wasn’t spaced out well. After quaffing some pond water, and following a calorie laden dinner – chicken with cheese potatoes – I am both stuffed and refreshed. The knees feel great too! 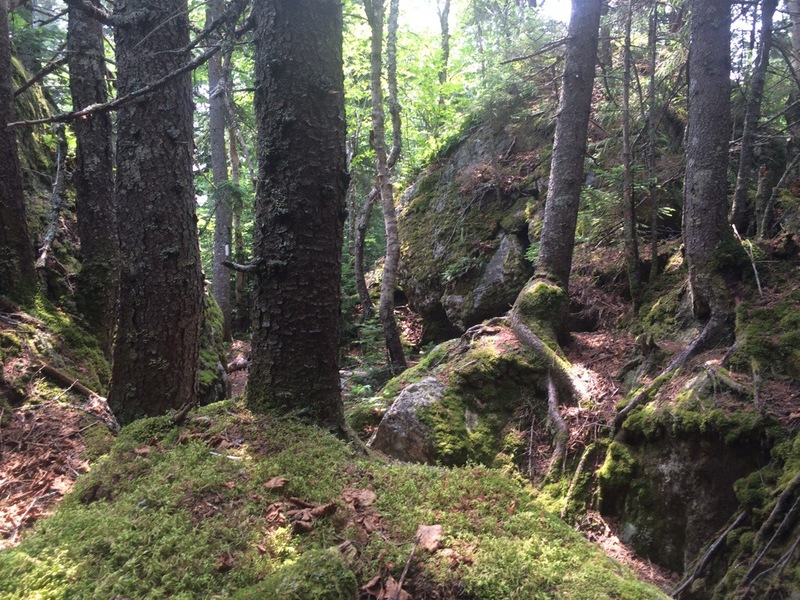 It’s difficult to describe the attraction engendered by Maine’s rugged and strenuous hiking. The isolation is everything which most of us were hoping this hike would be. I mean I haven’t heard a Harley’s obnoxious exhaust from the trail in Maine yet!!! Most everywhere else, they keep campers awake at night. Not here. Tomorrow features a couple of leg burning climbs, but it’s a relatively short day with scattered thunderstorms forecast in the afternoon. I has wanted to hike 17 miles to a shelter from which I’d get a running shot at the Kennebec ferry and my food drop in Caratunk, but considering the weather, I’ll split the days. ← Tough as granite. Really?